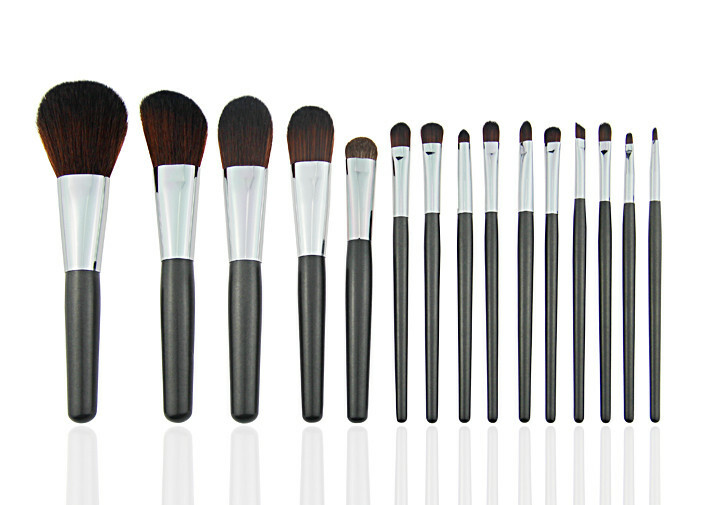 This set includes 15 unique brushes to help create an array of different looks. The most organized and elegant way to carry your make-up and cosmetics. Powder Brush: Uniform blending of powder products onto the face. Angled Face Brush/Blush Brush: Buffing of blush on the face, cheeks & chin. Fan Brush: Dusting off excess eye make up & loose powder. Large/Small Foundation Brush: Apply foundation-liquid, cream or solid. Blending/Crease Brush: Contours & blend eyeshadow shades. Concealer Brush: Ideal to apply concealer under the eyes & cover blemishes. Medium Shading Brush: Highlights brow or blend the crease. Lip Brush: Contours & blends the lipstick perfectly on the lip. Pencil Brush: Smudges color to the lashlines. Normal/Angled Eyeliner Brush: Apply an even-thin line of eyeliner deep into & onto the lashline. Sponge Brush: Smudges eyeshadow or blend harsh line of the crease. Eyeshadow Brush: Used to apply powder & cream shadows to eyelids. Mascara/Eyebrow-Lash Comb: Combs eyebrow hair & separate lash hair. Large/Small Angled Contour Brush: Blushes, buffs, contours the cheekbone & blends the contour shades. Smudge Brush: Blends & contours eyeshadow or smudges eyeliner. Large Shadier Brush: Sweeps & blends Eyeshadows on the entire lid. Fluff Brush: Blends eyeshadow, deposit color into the crease, or highlight the brow. Flat Definer Brush: Create sharp defined creases & shapes.